Follow along with my passion for carbs and calories for a moment! Especially on game day, plain ole pepperoni pizza is one of my favorite splurges. Now, imagine if I layered thick pepperoni and tasty sauce on an artisan crust. Adding on fresh leaves of basil and crisp slices of green pepper, I’d polish it off with melty ribbons of mozzarella. Baked until crispy in a wood fired hearth, I’ve now made an ordinary entrée into a gourmet dish. This mouthwatering example shows how something already good could be transformed into something magnificent! I felt like sharing that pizza example because it is a little bit like listing your home for sale. When creating a desirable ad, you may need to follow somewhat of a recipe. As suggested in the helpful (and FREE!) For Sale By Owner ebook from MilitaryByOwner, you can start with a solid framework and then add in upgrades as you build the listing. But don't miss the power of the "extra toppings" for your home listing--great photos, descriptions, floor plans, and even a virtual tour! Mixing in these ingredients may turn an already sharp ad into something sensational. The addition of top-notch extras may give your listing a competitive edge. Similar to introducing yourself with a job interview, you’ll want to make a good first impression when you introduce your house to the market. 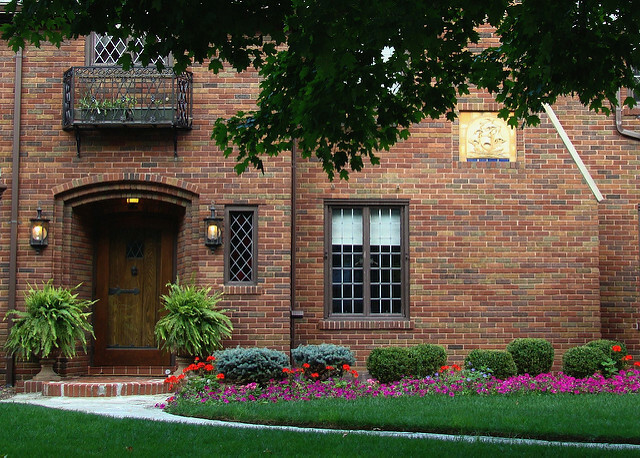 Consider the online curb appeal of your listing. What if a potential buyer clicks on your ad and notes a snapshot of a cluttered countertop? With the image of kitchen chaos in mind, the buyer may think, “Clearly there is not enough storage” and quickly move on. From cupboards and closets to shelving and storage, you’ll want your home to be photographed at its very best. In order to set the scene, you may simply need to stash away “stuff.” Consider filling boxes and totes and renting a month-by-month storage unit. This short-term solution may clear the way for picture perfect staging of each room. Are you certain that photos taken with your smartphone will shine the best light on your property? Will the pictures from your point-and-shoot camera truly grab a potential buyer's attention? If your budget allows, it may be worthwhile to meet with a professional photographer. With skills and tools for composition, color, and lighting, a professional knows how to effectively market a property. Discuss with the photographer the features you would like to highlight, both inside and outside of your home. 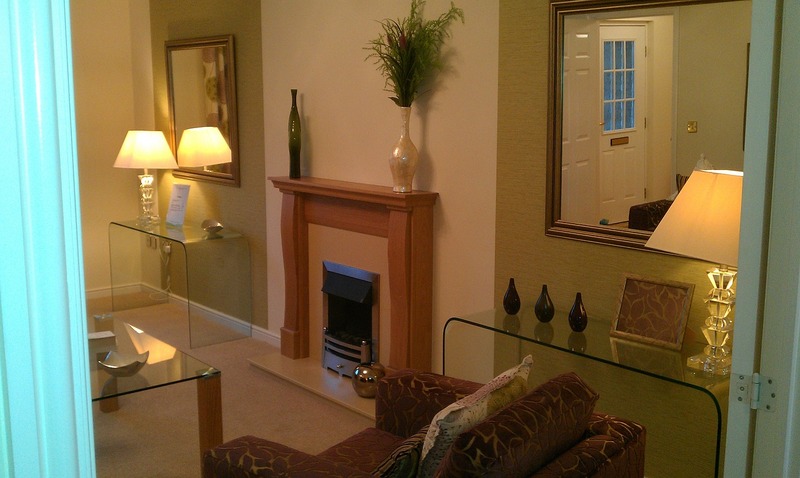 Encourage the professional to capture as many angles of each room as possible. These high quality photos can then be compiled to create a virtual home tour. Another way to make a listing appeal to a potential buyer is to include a floor plan of the property. In our post Is It Important to Include Floor Plans in My Home Sale Ad?, it's noted that “Renters and buyers will be able to envision themselves in your house far better if they can see the actual dimensions and layout.” With a floor plan included, a buyer may look at the layout of the home and imagine placing their things in each room. Additionally, with a floor plan in hand, a designer or contractor may envision a new purpose for existing rooms. From adding a door or window to removing a wall, the floor plan may be helpful when planning prospective remodeling projects. Also, by knowing the sizes of rooms and how they are configured, a buyer may send a copy of the floor plan to a home improvement vendor. Having a floor plan may help calculate the supplies needed for a remodeling project. Contact the builder. Ask if the original construction plans may be available. Take a trip to the local courthouse. Check with the agency that issues building permits. Get in touch with the neighborhood homeowners association office. The HOA may have floor plans on file of the various homes within the neighborhood. Hire a professional to do on site measuring and drafting. 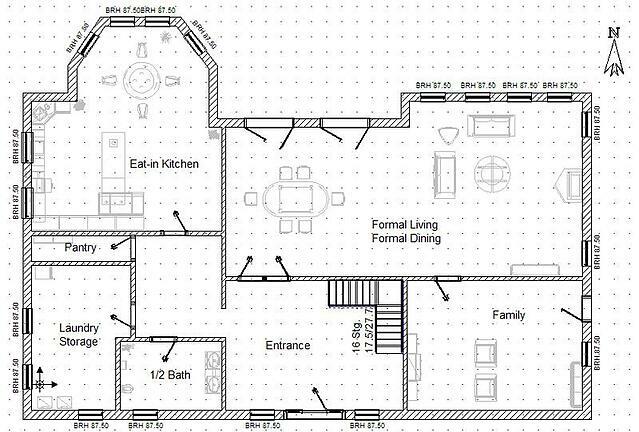 If you prefer a DIY tactic, measure the rooms with a laser device and grid a floor plan using home design software. If working with a real estate agent, request that they gather measurements and draft sketches to pinpoint room types and sizes. When creating a provocative ad to sell your home, including a floor plan may be as important as adding in stunning photos. It may also be a plus with your virtual home tour. With marvelous details in the mix, a potential buyer may feel drawn to your home. Intrigued by your online listing, a buyer may soon coordinate plans to view the property in person. When showcasing the best features of your home with a virtual tour, you are offering a welcome invitation. You are saying to a buyer, “Come in. Look around. This could be your new home.” Your willingness to open your home may be what attracts a buyer to your ad. The pride you have in your property translates as a home that has been handled with care. MBO's post, 7 Must-Haves for Your Home’s Virtual Tour mentions, “Given that military families often house shop from their current duty station before they even begin their PCS, providing a sense of being in the home is truly added value.” The room-by-room guide of what (and what not) to include also suggests the addition of visuals of the setting and neighborhood amenities. A virtual home tour may simply be photos of your home compiled into a slideshow. You may already have software on your computer to accomplish this, such as Keynote for Mac or Microsoft PowerPoint. Popular applications such as VideoMaker and Flipagram lean towards smartphone use, often layering photos on top of a decorative background image, while websites such as Animoto offer professional quality slideshow production. While planning the sequence of the photos to use in a virtual home tour, you may also want to pull compelling lines of text from your property description. For example, “Located near Smith Preserve. Drift off to sleep each night with the tranquil sounds of nature” while outdoor images of the property sync with the text. Or, you may prefer to be more concise with the text of your video. Allow the camera angles to say it all. For example, while kitchen and dining room photos ppear, the caption may simply read “Open Kitchen & Dining. Granite Slab Countertops. Energy Efficient Stainless Appliances." Text may appear in the lower margin of the screen as the corresponding scenes roll by. Many virtual home tours include a music track playing along with the video. Finding the right tune may take a little research. Pour yourself a cup of coffee, turn up the speakers on your laptop and begin hunting for available music online. Sites such as Free Music Archive offer complementary music. If you do find a tune with no fee, at the end of your video ensure proper credit for the title, musician, and any applicable creative commons license. If you spend a good amount of time syncing your images to a tune, you might as well pay for the song. For a reasonable fee, you can purchase tracks from music websites such as Royalty Free Music Library and other similar sites. With purchase, there are fewer worries over potential copyright issues. Whichever way you choose to find music, you’ll be looking for a song that matches the length of your video feed. Most radio hits are around 3 minutes long, so that may give you an estimate of the timing. Having gathered the photos you’d like in your virtual home tour you may be interested in digitally stitching them together to make a 180-degree view. By using handy computer software, such as the Hugin photo-editing tool, you can merge several photos into a wide-angle view. Navigating on-screen control points allows you to create panoramic scenes. Another option for creating a full view angle may be the use of Image Composite Editor (ICE) by Microsoft. The ICE software offers a user-friendly format to build pleasing panorama palettes. No matter which program you choose, you’ll want the finished product to look completely polished, like a work of art! After all, your goal is to “wow” someone browsing your listing and pique their interest to find out more. If there's room in your budget to hire a professional photographer, I would recommend including a virtual home tour video in your photo session package. With access to a variety of editing and design software, a photographer may create a seamless virtual tour of your home with high quality images. This captivating video may be uploaded to YouTube with a link shared on your listing. Statistics tell us that it only takes a few seconds to make a first impression on a potential buyer. The combination of drop-dead-gorgeous professional photos, an alluring floor plan and intriguing text may create a remarkable virtual home tour. Perhaps plan an order for your favorite pizza – you may soon be celebrating the sale of your home!